What is Support the Sound you ask? Support the Sound is a mission to help promote and nurture the local music scene and the arts in Connecticut. It's creator is Jeremy Kochis, an active local songwriter. Support the Sound is being co-organized by Mia Becker, creator and editor of PULP MAGAZINE, and Music Director at WNHU 88.7 FM. 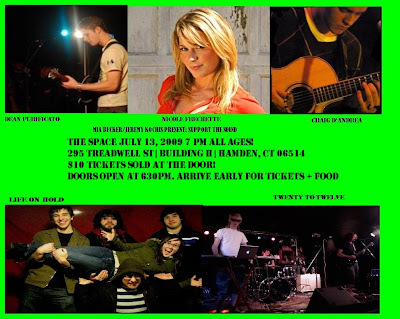 The money raised from Support the Sound shows will go towards funding a music festival to take place in Milford, CT in July of 2010. 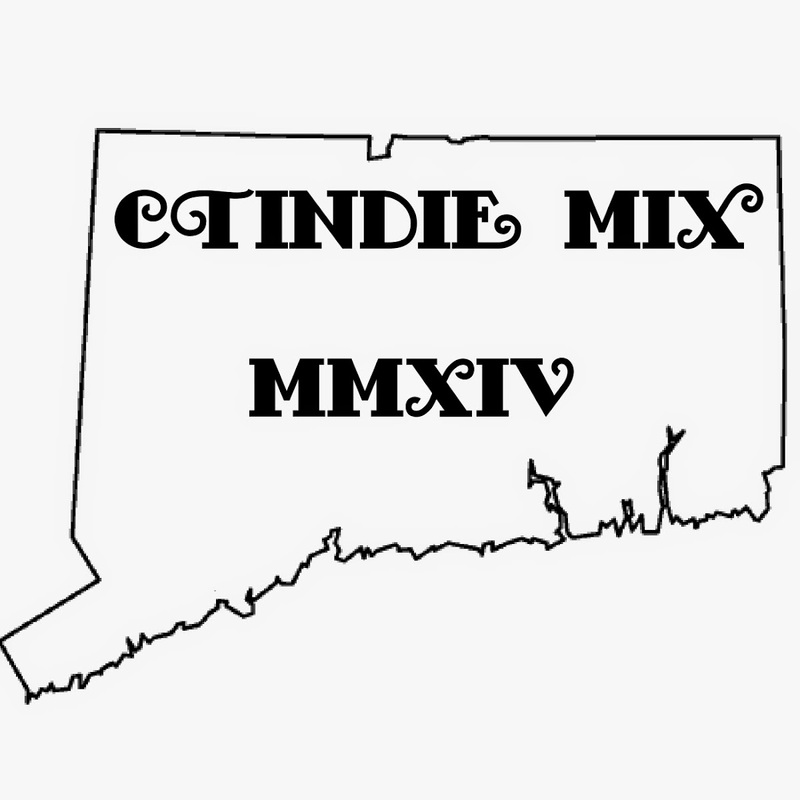 CT INDIE: The most common thing I hear from local music promoters about why they got started is that it was out of a frustration that Connecticut's music scene is often ignored and too atomized. 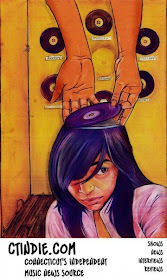 Would you say that PULP MAGAZINE and Support the Sound got started because of similar reasons? JEREMY: Support the Sound was started for the purpose of bringing the scenes of the area together. The idea is to bring a festival to Milford, but starting small scale. While I wouldn't say that the scene is ignored, a lot of people just don't turn out. CT INDIE: "It Happened...But Nobody Noticed" brings up an important point: the backbone of any strong music community is always one venue or a small group of them that consistently hosts music that people are enthusiastic about. Do you think that Connecticut's venues are doing enough for the local music community? JEREMY: The venues that exist in the area are definitely doing the most they can. The Space in Hamden has an open mic night on Tuesdays, and hosts plenty of shows every week. The Webster in Hartford hosts local bands on both the main stage and the underground, and even hosts a local night every once in a while. I've seen Eclectic Wear in New London help out touring bands at essentially the last minute. That's to name a few, but the only complaint I can give is that there aren't nearly enough venues in Connecticut. MIA: No, I don't. I mean, I wish there were more. There is definitely a lacking presence in guitar-oriented/rock venues in CT. I still don't understand why Toad’s Place is the only rock venue in downtown New Haven. There are other venues in the outer limits of New Haven, and other cities. There are a lot of bars that host in-house bands and such, but there is definitely a lacking in real hands on accessible venues; venues that you can get to easily by the local train, or local bus line. I hope to see more small to medium scale rock clubs open up within the next couple of years in downtown New Haven, and other big college areas, and have a lasting effect. Hopefully this would even out the proportion with all of the dance clubs, and give an alternative to the great bands that can't play the arena shows, or don't want to play a show in a local bar. Rock music is still really big, and I don't think that's going to change, especially in the college market. CT INDIE: So, with a shortage of venues, the next best things are festivals, something that the local scene tends to really support. Tell us a little about Support the Sound, and how you are building up to your festival for 2010 by putting together smaller shows to help fund the future fest. MIA: The festival started from Jeremy Kochis' idea, and then I jumped on board to help out, and we're now organizing the festival together. The idea of the festival (which is not yet named; we need ideas, please e-mail us!) is really to create an outlet of supporting local music in the scene, show people what's out there, and really bring some more music festivals to the Northeast, and local area. The big time festivals, which yeah are great, like Coachella, Lollapalooza, SXSW, Bonnarroo, etc., are expensive, plus travel time, etc. Why not do something local, something that’s more accessible? JEREMY: The festivals are really only large scale that I've heard of, so I wanted to bring something a little more local. Like Mia said, all of the festivals are also a hike, like Ska Weekend in Tennessee, Bonnaroo in Tennessee, Bamboozle in New Jersey, and there's the tours of Ozzfest, Warped Tour, etc. Support the Sound's goal is to bring the local scene to the mainstream group as well, by merging the two in a festival. Having an in with some mainstream bands in the area definitely helps out with this. JEREMY: The local shows are mainly to raise money and get a start on some local bands that will stick with us. Bands and artists that are already open to the idea are: Life on Hold, Johnny 9 and the Racers, Daria Musk, Nicole Frechette, Craig D'Andrea, among others. Being a part of the local scene definitely helps, and I know a lot of people that can help if I get stuck with any part of it. MIA: The shows are a great deal, it’s five bands for the price of one, almost like a mini-festival within itself, and it's a great way to come and support local music and see what's happening in the scene, and support something bigger: a local music festival. All the info about the upcoming shows and festival can be found on our official site: here. We also have a ska show pending for the end of July. We're hoping to get that off the ground soon, and we also plan on booking some more local shows over the next six months or so, or up until we reach the funds we need to put everything together, so we'll always be looking for local bands to book for shows. I know there are a lot of local bands that we haven't even tapped in to yet, so feel free to e-mail us or send us suggestions for bookings! We also have a CD compilation coming out next month, which will be sold at our July shows, and at Oyster Fest this year in August. It's a compilation of all CT bands/artists, and the track listing can also be found on our website, so come out to the shows to pick up a copy! We'll also be looking into making another CD compilation for future shows we book, so we're always looking for submissions from local bands from CT that want to participate! You can reach me directly at: miawnhu@gmail.com. CT INDIE: Have you found that local bands realize how important it is for them to chip in to help reinvigorate the local music scene, or has there been less support than was initially hoped for? JEREMY: Every band I've seen involved in this has been more than helpful. Everyone I've dealt with has asked for me to ask them whenever I needed help with anything. Bands realize the ultimate goal of it and are willing to help out with whatever they can. It's great. It lifts my heart and hopes in all honesty. MIA: We just started getting things together, and getting word out there, so as of right now, anyone that is involved in our shows, or knows about our upcoming festival project, it's been very well received, and people are enthusiastic, but I would definitely like to see more involvement, and think there is a great need for more local bands and enthusiasts to get out there and know what's going on. I mean, even with my magazine, PULP MAGAZINE, there isn't as much involvement from local bands as I would like. I would love to get regular feedback and involvement from bands from all over CT for any of these projects: local shows, local festivals, independent releases and CD compilations of CT bands, etc. I don't know if it’s a lack of faith in the local scene, or they’re just not aware of the outlets or resources, but I'm open to working with as many local bands as I can to help get something going, and then having things grow from there. Like I said, the CT scene is kind of strange because it’s really all over the place, and also it’s right between two other big scenes; New York and Boston. It's one of those things that involves many elements, it’s not just one factor, it’s many things. I would love to see more CT fanzines come out, and more publications (either print or online) that cater to CT music. I hope more bands find out about these projects and want to get involved because it’s important for the scene and while helping them create something of their own too. All those kind of things. CT INDIE: It's definitely true that the more people talk about what's going on, the more enthusiasm there will be, and the internet makes getting the information out there so easy now. Do you think Connecticut's local music needs more of an internet presence, or is it more that internet culture has created a habit of talking about local music more than actually going to see it live? JEREMY: There's definitely a stronger online presence than tangible. Some people on Facebook or MySpace (for those that still use it) might just fan or add a band because a close friend is in it, just to have that one extra page/friend, or because they actually like the artist or group. For events for shows, people also can just click that they're attending too because reading the information for it or seeing if they can actually attend could distract them from what they signed onto the networking site to do. It's a harsh reality, but it happens. There are a number of people who go to shows at venues regularly to support the scenes that exist, but it's a shame that this doesn't involve the majority of people. I'd say that there needs to be better turnouts at shows instead of the internet fans. MIA: I think there is generally enough of an online presence, like with anything, I think what we really need is more tangible resources for local bands in CT to have an outlet. Like more venues, more radio stations that play local music, more fanzines, and more bands really getting out there and getting involved. I'm hoping our upcoming shows this July, and those we book in the future, get more local bands and enthusiasts involved, definitely. And, more importantly, I hope more people get involved in our festival project; that's the biggest thing all together. I know there are plenty of people that would benefit from what we're trying to put together, and really want something like that, something that is accessible. I'm hoping to see things grow and develop from here. We're open to getting as much help and interest as possible, anything and everything. CT INDIE: So, it's not just about the audience's access to the bands, but the band's access to the audience? MIA: Yeah, it goes both ways. An audience needs to know about what bands are in the area and an easy way to get to them, but bands need a place to play to have access to an audience. There is a huge lack of venues in CT. Most places are just really small cafes, or bars that host bands. There really is only a handful of real venues in the area. And even the venues that do exist, they are like arenas or really small clubs, there really aren't that many medium sized venues for bands to play at. It's a very black and white situation, nothing really in between (in the gray area). JEREMY: Bands definitely need a better access to the public. Like Mia said, more radio stations that play local music would be great. I know that WPLR has a local band section of their Sunday night show starting at 10, which is great. If radio stations started advertising local shows, I don't doubt that there would be a better turnout. Ideally, I'd love for there to be at least one venue for bands to play in each town or city. It takes the cooperation between the radio stations and the venues. CT INDIE: What about all-ages shows, which are often held in halls or other alternative outlets, do you feel more needs to be done for the all-ages crowd? JEREMY: There definitely needs to be more all-ages outlets. A favorite band of mine, Bomb the Music Industry!, recently started to refuse to play shows that are not all ages and cost more that $10. That's probably one of my biggest influences with this project. I'm not looking to charge over $10 for any fundraising show, and I aim to get the all-ages crowd instead of a limited age group. MIA: I think there always needs to be more all-ages venues and events, regardless of the area it’s taking place in. All-ages doesn't have any limitations, and you are able to reach out to such a bigger audience rather then just one specific market or age group. Everything is "free for all", and creates a great outlet for people who are 14, 15, 16. There is also an advantage to 21+ shows because sometimes you want that specific market, and you get better results reaching out to one group of people than reaching out to everyone. I think a lot of cities that have thriving indie scenes, or have potential to have a thriving scene, always run into that problem: There aren't enough all-ages venues. For example: if you look at Seattle, before the whole "Seattle Scene" broke out, they had the same problem, but then a couple of great all-ages venues started to open up and it grew from there. As I mentioned before, there is a great need for real music venues, and rock venues to open up in CT; halls and alternative outlets are good for random shows, but for something to keep going you really need a solid space. For example, I'm pretty sure people that want to buy coffee at their local cafe are going to get pretty annoyed with all of the equipment and wires all over the place night after night. It doesn't work as well as a real venue, something that is designed with the facilities to cater to that activity and market. CT INDIE: Looking toward the future, say a few new rock clubs open up in Connecticut, do you think that those venues would benefit from following in the footsteps of Iron Horse Entertainment Group up in Western Mass, where several venues are owned by one company? Or do think that venues can be independently owned and operated while still being able to cooperate and support the music community as a whole? JEREMY: I think either case would end up successful. If they were separately owned venues, I'd say the owners or promoters of the new venues should be in contact with existing venues to get e-mail addresses or other contact information for bands, to set things into motion. On the other hand, if they're all owned/managed by a company, if one venue gets contact information, the rest of them would, and that would expand the scene. It depends on the intelligence of the one company. If they are spread out through the state, it would be great. If it's one company managing venues in a small circle of towns, I don't think that would be successful at all. MIA: I think it just depends on the situation and protocol of the venue. I think many companies can be successful and own and operate multiple venues and support the music community, as long as they all follow the same format, but I think one or two venues could pop up and operate independently and support the local scene, and the music community just as well. I think if the local scene is really going to start from the bottom up, venues should operate independently first, and then as more come about, maybe a company would look into investing into operating many at one time. As long as more venues come about, and the local music scene can flourish, that’s what's most important. interview by Jason Devin, July, 2009.